The late CBS network variety show host Ed Sullivan gets a lot of justifiable credit for making The Beatles popular in America by featuring them on Feb. 9, 1964, on his program. But would you believe that two CBS news guys, Alexander Kendrick and Walter Cronkite, and NBC reporter Edwin Newman more than two months earlier had equally pivotal roles in the Fab Four’s British invasion of America? It is being presented at 7:30 p.m. Friday, Oct. 12, at the Hardin Auditorium, 7022 Evans Town Center Blvd., in Evans. Tickets are $39.50, call (706) 726-0366 or buy online at augustaamusements.tix.com. You might have caught the show in September of last year in Aiken. It features the songs of the late 1960s of both British and American groups. Some of those numbers the touring band has in its repertoire include “19th Nervous Breakdown” by The Rolling Stones; “A Little Bit Me, A Little Bit You” by The Monkees; “A World Without Love” by Peter & Gordon; “All Day and All of The Night” by The Kinks; “All My Loving” by The Beatles; “Catch Us If You Can” by the Dave Clark Five; “Fortunate Son” by Creedence Clearwater Revival and “I Can See For Miles” by The Who. Beatles’ manager Brian Epstein, like many good personal managers and publicists, wanted to get some major media attention in America for his foursome rock group and its members Paul McCartney, Ringo Starr, George Harrison and John Lennon. Epstein apparently got all three American networks to send representatives to a Beatles’ concert in Bournemouth, England, on Nov. 16, 1963. Newman filed a report that aired on NBC’s “The Huntley-Brinkley Report” on Nov. 18. CBS followed four days later with a report by its London chief Kendrick, a native of Philadelphia. His coverage first aired on the “CBS Morning News with Mike Wallace” program on Nov. 22, 1963. Nobody in their wildest imagination could have predicted at that time their run would still be lasting some 55 years later. ABC, for whatever reasons, apparently decided to ignore the British musical uproar that was sweeping Europe. Kendrick’s report airing in the morning was supposed to air later the same day on the “CBS Evening News with Walter Cronkite” highly-rated broadcast and probably would have if not for a bigger news story that took place about noon in Dallas. And that would be the shooting assassination of U.S. President John F. Kennedy while he was riding in an open convertible in a motorcade. Cronkite himself apparently decided, after days of tearful somber broadcasts about the death of Kennedy and its related events, American viewing audiences needed some cheering up. Consequently, Kendrick’s report was re-aired on Dec. 10. Ed Sullivan, also employed by the CBS network, afterward called Cronkite to ask about Kendrick’s report. Some media accounts have said that it was the CBS news report that led to Sullivan booking The Beatles two months later on his heavily-watched show. But Bruce Spizer, a tax attorney in New Orleans and Beatles’ expert, told the website Beatlesnews.com that just was not the case. He related for the site, “In researching my book “The Beatles Are Coming! The Birth of Beatlemania in America,” I had the honor and privilege of interviewing Walter Cronkite. Spizer said he told Cronkite that he did not doubt his call from Sullivan, but he thought Cronkite had misinterpreted its meaning. “When Ed Sullivan had booked The Beatles one month earlier, he was taking a chance as the group was virtually unknown in America,” Spizer told the website. No matter how it all fell out, America did “catch on” to The Beatles. And you surely will hear some of their songs when “The British Invasion Years” show comes to Hardin Auditorium on Oct. 12. More about Civil Rights songs. 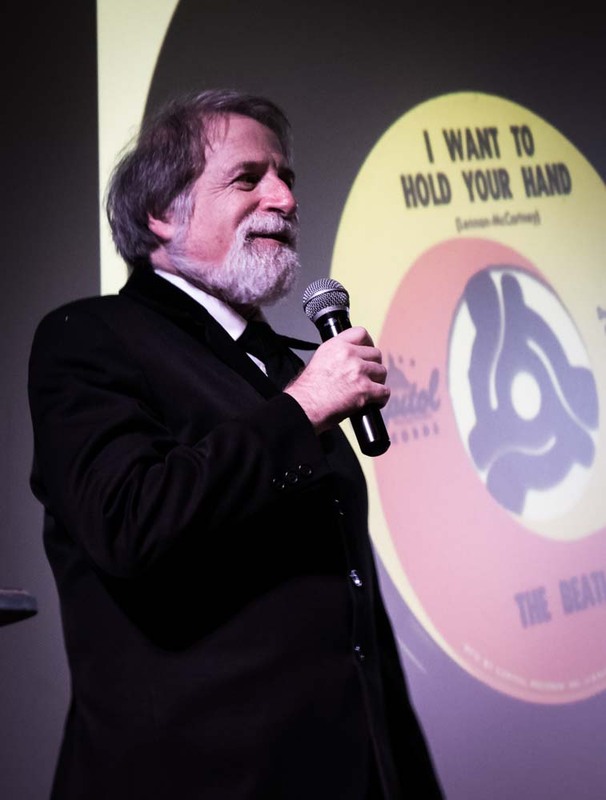 Last February for Black History Month, I connected with with singer-guitarist Darlene Champagne to present a program at North Augusta’s Nancy Carson Library about the history of several popular civil rights songs. We were joined in the hour-long presentation by the library’s director, Barbara Walker, who herself has a great voice and plays guitar beautifully. If you never have heard these two sweet and smart ladies sing together, you are missing one of the real joys in local life. We had such a great time that night and such a large, fun audience that we are offering the free program again at 6:30 p.m. Monday, Oct. 15, in the third floor Georgia Heritage Room of the Augusta-Richmond County Public Library, 823 Telfair St.
Tina Monaco, supervisor of the history collections, assures me that we will have a good turnout in spite of it being early on a Monday evening. So I’m counting on a bunch of my folk-loving music readers to show up!